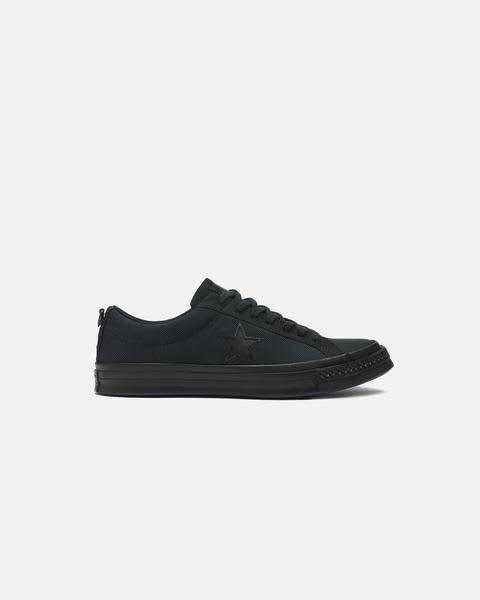 One Star sneaker from the Converse x Carhartt WIP collaboration that fuses functionality with a totally renewed design of the classic Converse One Star. Inspired by military backpacks and details, it is a collection of three colors. Color black. Improved design and quality. Trait Store in Barcelona, Spain.